When you need a new HVAC system (air conditioner installed), Call Bar-Co Mechanical. We install residential and commercial HVAC systems AND we also offer air conditioner repairs and maintenance service. Bar-Co recommends that you have your ductwork inspected as well. Proper ventilation, clean ductwork, and good insulation is essential for excellent indoor air quality. In a high humidity zone like the Triangle area of North Carolina your ductwork can become tainted by mold and mildew. Make sure your new system is pushing clean air through clean airducts. We can also keep your air conditioner unit healthy and working with top efficiency by offering you a maintenance schedule: change filters, clean the units of any debris, check for mold, mildew and a coolant level check. 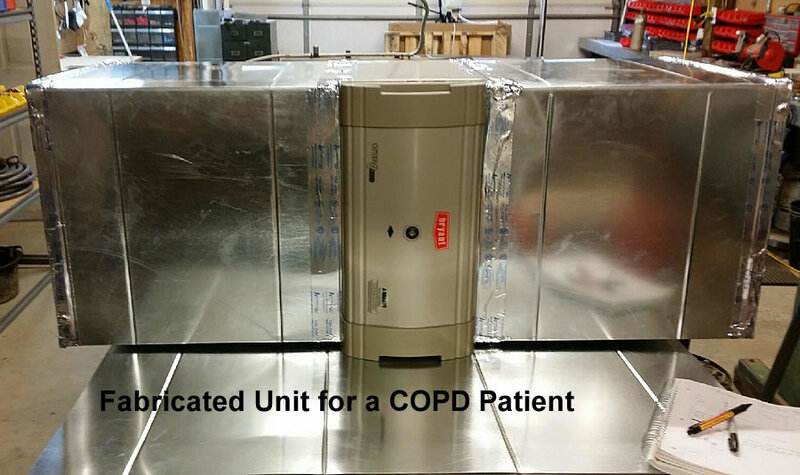 We can customize your HVAC system specifically for YOUR needs - Check out this unique system we constructed for a customer suffering from COPD.